Drug addiction is a disease that requires an individual to take an ever-increasing amount of a substance to achieve the same high. Overdose prevention begins by understanding that not everyone is addicted to the same substances and recognizing that each type of addiction requires its own course of treatment. Treatment for addiction involves identifying the problem, going through physical detox, and then learning how to live a productive life without abusing substances. 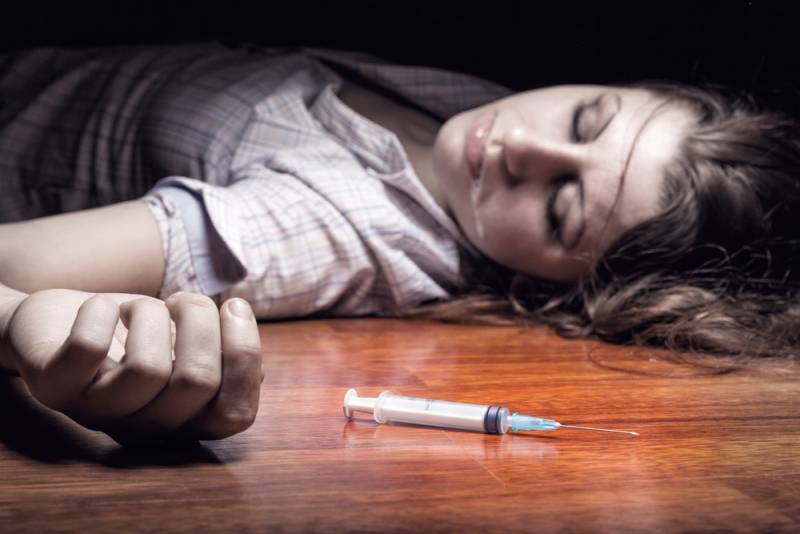 According to the Centers for Disease Control and Prevention, the total number of deaths from drug overdose in the United States was 64,070 from January 2016 to January 2017, a 21 percent increase from the previous 12 months. Without treatment, this number will only continue to rise. Despite growth in the addiction treatment industry, the need for quality treatment continues to rise faster than the number of treatment options available. New regulations for prescription pain medications seek to stem the rising tide of opiate addiction, and this may result in an eventual decrease in opiate-related overdoses. While cocaine and other harmful drugs are also abused, prescription pain medication is among the fastest-growing drug epidemics. Only a few short years ago, prescription opiates such as Vicodin and Oxycodone were relatively easy to acquire, even for a minor injury. While the addictive nature of prescription opiates may have been a small concern, few people could have predicted the widespread opiate epidemic caused by the overuse of prescription drugs. It is now harder to get prescription opiates, but it’s still not impossible for those who have had a recent surgery or injury. When using opiates for pain management, patients can quickly become addicted to the medication. Breakthrough pain occurs, and it becomes necessary to use more medication to get the same pain relief. Over a short period of time, this leads to an addiction that is difficult to escape. Many people who begin opiate use because of a prescription later turn to illegal opiates such as heroin to continue feeling the same effects. Drug addiction and the need to prevent overdoses applies to all demographics. An increasing number of people understand the nature of drug addiction and the methods required for treatment, so trends in addiction treatment have changed. Individuals who are addicted to substances can go through the process of recovery one step at a time, starting with time spent in a supervised detox facility. When more individuals begin to recognize that addiction doesn’t discriminate, the approach to addiction changes. Once people acknowledge that addiction has reached their own neighborhood, they are more likely to show empathy rather than contempt for those addicted to substances. Drug addiction is not a small problem in the United States. According to the Substance Abuse and Mental Health Services Administration, more than 11 million Americans abused prescription opiates in 2016, which led to an influx of individuals needing treatment for substance use issues. With that in mind, it’s time to reconsider the meaning of drug addiction. While drug addiction has long been treated through the criminal justice system, this is not an effective strategy for long-term recovery. Addiction is a disease that requires professional, empathetic care in order for the individual to get better. It’s time to start looking at addiction as the disease it is and to address the issue accordingly. How Is the Drug Abuse Epidemic Being Solved Today? With better education for the public and more treatment programs available to give people the help they need, the opiate epidemic is starting to be addressed. Considering that opiates are responsible for an estimated 30,000 deaths per year, this is a critical issue that needs continued attention. Beyond opiates, other illegal drugs such as cocaine are also a major cause of overdose deaths in the United States. Cocaine overdose accounted for 10,619 deaths in 2017, which is 16.5 percent of the total drug overdoses from January 2016 to January 2017. Programs for addiction treatment have spread rapidly throughout the United States in recent years. People are starting to understand that addiction is not a lack of willpower but a disease that worsens without professional treatment. This knowledge is a key factor in putting an end to drug abuse and preventing overdoses. So, how is it possible to prevent overdosing on a significant scale? Educating the public about addiction is a good first step in the prevention of an overdose. Drugs such as Narcan have been developed that can reduce opiate deaths if the drug is administered at the right time to an individual who has too many opiates in their system. People can learn how to administer Narcan in areas of heavy abuse, making it possible for average citizens to combat the opiate epidemic one person at a time. Teaching the public about the addiction signs to look for may also prevent overdosing in some individuals. When parents of susceptible teens know the signs to look for, for example, it can become easier to identify potential drug abuse early on. Teenagers are abusing opiates at high rates for a number of reasons. Heroin is highly accessible and not very expensive. While drugs like cocaine are often financially out of reach for teenagers, prescription pain medications can sometimes be found right in a parent’s medicine cabinet. A teenager who suddenly starts doing poorly in school, who loses excessive amounts of weight, or who often appears lethargic even when awake may be abusing substances. It’s important to open the lines of communication between parents and teenagers. Early intervention can be a big help when it comes to addiction. While teenagers can suffer from substance use disorder, it may still be early enough to mitigate the potential for long-term addiction and physical harm. Addiction treatment for people of all ages has progressed in the United States, but it still has a long way to go. While recovery programs have become more accessible and treatment facilities have opened in response to the opiate epidemic and the rise in illicit drug use, many people still aren’t getting the help they need. Some are concerned about the cost, some lack the knowledge necessary to find a worthwhile facility, and others are still in denial about their addiction or afraid to seek treatment. Continued investment in treatment facilities and education for those struggling with addiction is necessary if we want to quell this growing epidemic. While new regulations on prescription pain medications may be a good start, there is still much work to be done. Addiction treatment is a multi-step process. Those who struggle with addiction may require prolonged inpatient and outpatient treatment in order to develop the necessary skills to conquer their urges. If a patient receives insufficient treatment or returns to the same environment that fueled their addiction in the first place, a relapse may soon follow. Without long-term recovery, the likelihood of an overdose increases exponentially. Community support is an essential part of recovery and overdose prevention. Most people in recovery go to support groups of some sort while living independently, and they find support from others who are also striving to live a sober life. When community buildings such as churches or nursing homes open up their space so that meetings can be held, this can improve the quality of treatment that individuals receive. Learning about addiction and what it does to the individual can make a big difference in the prevention of substance abuse. It’s important to understand that addiction is not a weakness. Addiction is a disease, one that continues to spread throughout the United States. The longer a person waits to get treatment for addiction, the more likely they are to experience a fatal overdose. This is due not only to an increase in drug exposure but also to the fact that long-term use requires greater quantities of the drug to achieve the same high. If you struggle with addiction or notice signs of addiction in a loved one, it’s important to seek help right away. People addicted to substances need to start slow in the recovery process. It begins with time spent in a medically supervised detox. This is the safest way to withdraw from substances, as withdrawing on your own at home can be dangerous. Withdrawal symptoms can become extremely painful and possibly even harmful. Access to supervised treatment programs is essential to the success of any push to reduce the number of overdose deaths in the United States. Once detox is complete, support is necessary for learning how to cope with the emotional side of addiction. Those who are newly sober need to educate themselves about abuse triggers and how to cope with the stress of everyday life. A person new in their sobriety is often overwhelmed by the road ahead and requires the support of a structured environment in order to successfully live life without drugs or alcohol. People who aren’t ready to return home will go on to a sober living community. This is a residence where everyone is working on sobriety and trying to live their lives one day at a time. Sober living communities are sometimes difficult to get into because the need is so great. A sober living community offers support during a time when a person is learning how to live, work, and survive in a sober world, but the programs are just not available to everyone. As the United States continues to gather information on drug abuse and restrict prescriptions for pain medications, program development will also be essential. With more targeted programs to combat the growing drug epidemic, over time the United States should see a slow but steady decline in the number of people addicted to substances. With the right treatment, it is possible for anyone to fully recover and live a productive life. Without treatment, however, the addiction likely will only get worse. Early prevention can help stop the growing tide of those addicted to substances while intervention, later on, can help reduce the number of overdoses and people actively abusing substances. The number of deaths caused by drug overdose is higher than ever in the United States, but an overdose is not impossible to prevent. Education and support are key. Be aware of the signs of addiction, and know which drugs are available to help reverse an overdose, such as Narcan. Recovery is possible, especially with professional help from a treatment program.